Our Montego Bay sightseeing tour will introduce you to the history and beauty that makes Montego Bay a popular tourist destination. 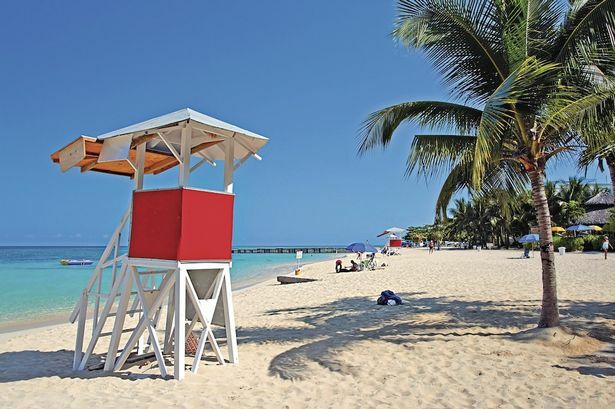 Our professional guides will ensure a safe, enjoyable and informative tour of the Montego Bay area. This one of a kind sightseeing tour departs directly from and returns you back to your cruise ship pier or Montego Bay/Rosehall area resort. 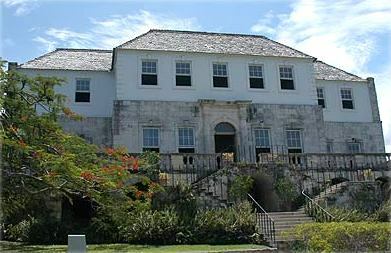 Rose Hall Great House (built in the 1770’s) - Located in Golf Country, as it is surrounded by three world-class golf courses. Named after Annie Palmer, the White Witch of Rose Hall who killed and buried her three husbands and countless lovers in that house, her ghostly spirit still roams the house. Experience a panoramic view of the lush surroundings or take a guided tour through the haunted halls of the "Great" House (see rate options below). 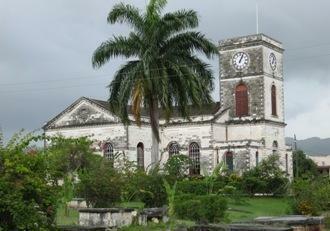 Historic Sir Samuel Sharpe - the centerpiece of downtown Montego Bay. Sam Sharpe was a Baptist deacon who was hung for the infamous "Christmas Rebellion". 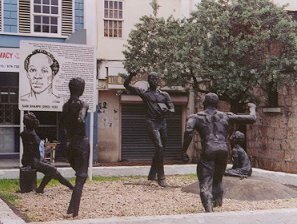 This cobblestone town square gives visitors a snapshot of Montego Bay's history. The square is lined with Georgian buildings side by side with modern structures as well as monuments commemorating the history of the square. St. James Parish Church (built between 1775 & 1782) - The ageing church is set in a large graveyard featuring tombstones from over 200 years. The church is set out in a classic Greek cross shape that includes two monuments with an elaborate 1911 stained glass window. Richmond Hill Inn - former home of the Dewar's family, the Dewars belonged to the Scottish clan of Dewar Whiskey fame. Richman Hill is a great place to view Montego Bay from high above the city. 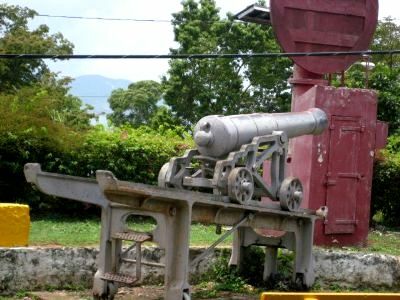 Fort Montego - Built along the coast during the early 1700’s to protect the major shipping ports of Jamaica from invasion by French and Spanish forces and pirates that roamed around the Caribbean Sea. Much of the area in and around the fort is now a Craft market, selling crafts, t-shirts and souvenirs. •	Child under 3 tour for free! We so loved our guide. It was the best part of the excursion.. he was funny and told us history and took us shopping. We will come back someday and book with you again. We had a very nice trip with no complaints. Everything was fine. The driver was very professional. We had a great tour with our guide, Curt I think. He was excellent and made our tour worthwhile! I also did a review on Trip advisor. Had a lot of fun with Curt our tour guide. He was awesome! Allowed us to decide how long we visit. Took us to great sites including a great jerk chicken spot - Scotchies [TripAdvisor re-post]. We all had a great time. Our guide, who's name slips my mind, was awesome. He is very personable and made it entertaining. If I ever return to Jamaica will likely use your service again. I cannot say enough good things about our driver and Jaital. It took us a much shorter time than expected getting off of our ship and we ended up getting off around 9:15am. Our tour was scheduled for 10am but they radioed our driver and he was there and ready to take us right then. He was so personable, educated, and easy going that he made the tour amazing. He showed us ever aspect of the wonderful island of Jamaica and truly let us see it all. You have a gem and if I am ever in Jamaica again I will ask for him for all my transportation needs. Was a good tour. Good guide and a good experience. Our cruise ship docked in Montego Bay port for the day and we took the opportunity to participate in Jaital Montego Bay Sightseeing and Shopping tour. We had a wonderful time. The driver was outstanding. Thanks Jaital for making our day memorable! All went perfect. No issues. Our overall experience with Jaital was positive. The questions we had were answered quickly and the booking process went smoothly. In Montego Bay, the driver/guide, was very knowledgeable and provided a lot of information on Jamaica . He took us around as requested and made sure we returned on time to the ship. The overall service provided by Jaital was good and we enjoyed our day in Montego Bay. 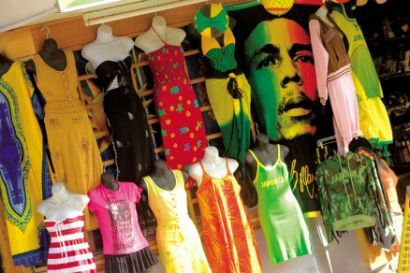 Me, my husband and two kids took the Montego Bay Sightseeing and shopping tour. Our guide was very knowledgeable and patient.Many thanks for making our vacation memorable. On arrival we were greeted by our tour guide who was very informative and professional. She provided us with full details of the tour. We learned about many historical buildings. Our drive was very comfortable. We also went shopping Jamaican rum, carvings and other things. We took a lot of pictures and had lots of fun. Thank you very much for a wonderful time.